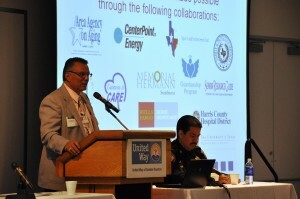 José served a moderator for a one day conference on May 20, 2011 in Houston, Texas hosted by various social service agencies. The theme of the conference was “Doing More with Less” in relation to the drastic cuts proposed by the Texas legislature. To his left is one of the panel speakers, Sheriff Adrian Garcia, who discussed how the cuts would impact services to inmates with mental, cognitive and physical disabilities. 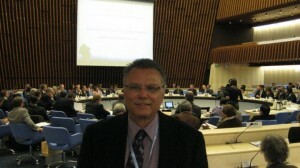 The World Health Organization (WHO) hosted a meeting in Manila, Philippines in June, 2010 in an effort to develop guidelines to strengthen the participation of persons affected by leprosy in leprosy-related services. Those in attendance were WHO Program Managers, WHO staff from Geneva, Switzerland, stakeholders in the field and persons affected by leprosy from each of the continents. 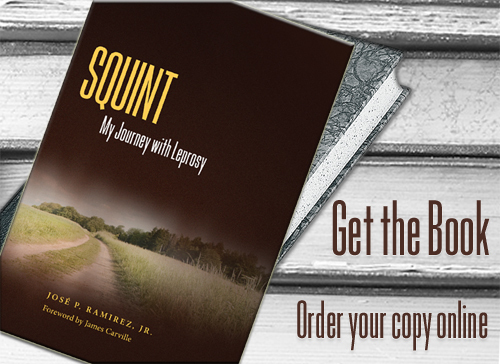 José Ramirez, Jr. was one of five persons who created a draft of the guidelines and was elected Chair of this historic meeting. The meeting generated much discussion and ended with Mr. Ramirez and seven other attendees representing WHO and stakeholders refining the draft and suggested changes. The guidelines provide a road map for policy makers and providers of services to overcome centuries of stigma and discrimination. The guidelines describe how to avoid further labeling by not referring to persons affected by leprosy as “patients” outside of a medical setting; consistently use person first language; attack stigma by empowering persons affected by leprosy in partnerships related to policy development and implementation, training, education, fundraising, and human interest stories in the media; include women in all aspects of policy and program development; provide counseling and rehabilitation services; acknowledge that many persons affected by leprosy are “experts” in the area of advocacy; and seek feedback from persons affected by leprosy to evaluate whether the services rendered promote dignity and quality.